Termites are annoying. They can eat a huge amount of wood and cause damage to your property. 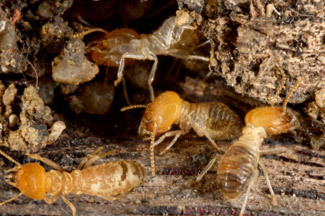 With the help of termite inspection, you can easily find the termites in your property. A professional expert can tell whether there are too many termites in your home or they are small in number. First and foremost, you should have a word with your friends or family members. Do a little research online to find the most reputed inspectors and local telephone book which can also help you find the best professionals for termite inspection Perth. Take time to enquire whether the inspectors you have hired have a license or not. If they don’t have a license, they should probably look for some other option. Before hiring any inspector, you should make sure that they are a part of the most reputed and established pest control company. If yes, it means that they are actively doing the best pest inspection, and has huge years of experience in the industry. Have a word with the professional and ask them how long they are working in the industry. If you have decided to hire the professional, you should first ask them to inspect your home with the help of the most qualified and experienced professionals. Keep all these great tips in mind to choose the best professional for termite control in Perth. Previous PostWhat Questions You Should Ask The Pest Control Expert?Next PostTermite Inspection Perth – Why It Is A Must For Your Home?